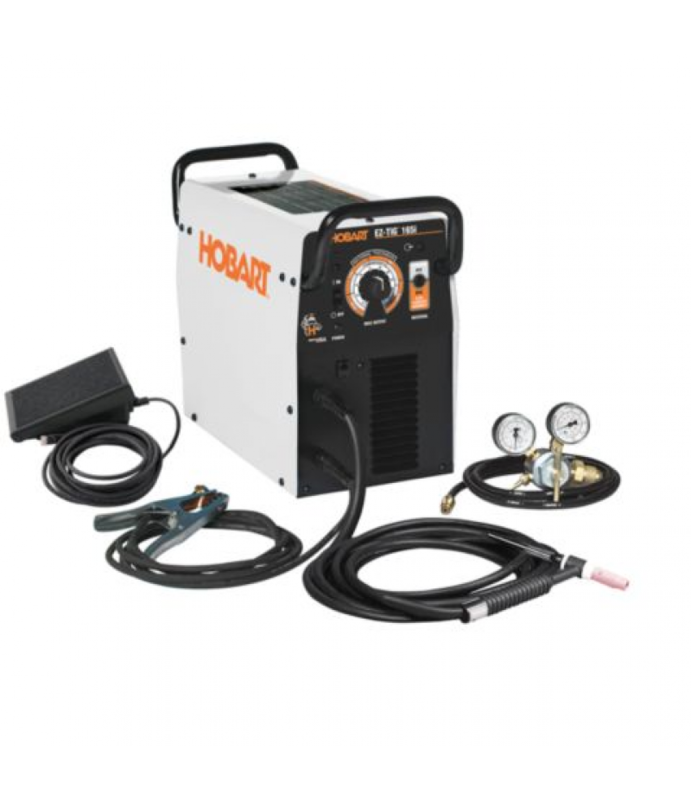 The Hobart AirForce 12ci Plasma Cutter features an internal piston-driven air compressor, which makes the system highly portable. No additional compressor to purchase or transport. Pressure is preset, so it's ready to cut, right o.. 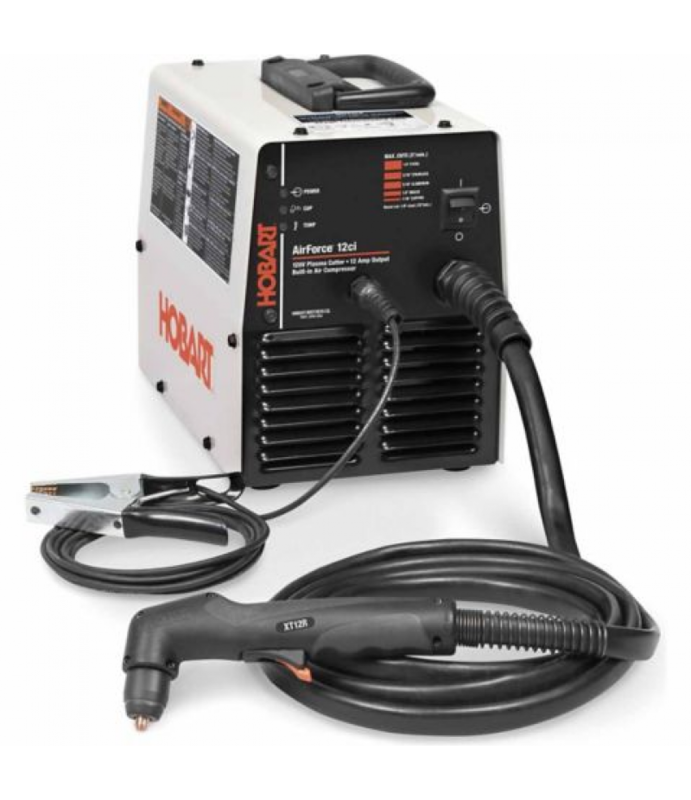 The Hobart Airforce 27i Plasma Cutter with MVP allows you to connect to common 120V or 240V power receptacles without the use of any tools - simply choose the plug that fits the receptacle.Inverter Design provides powerful cutting.. 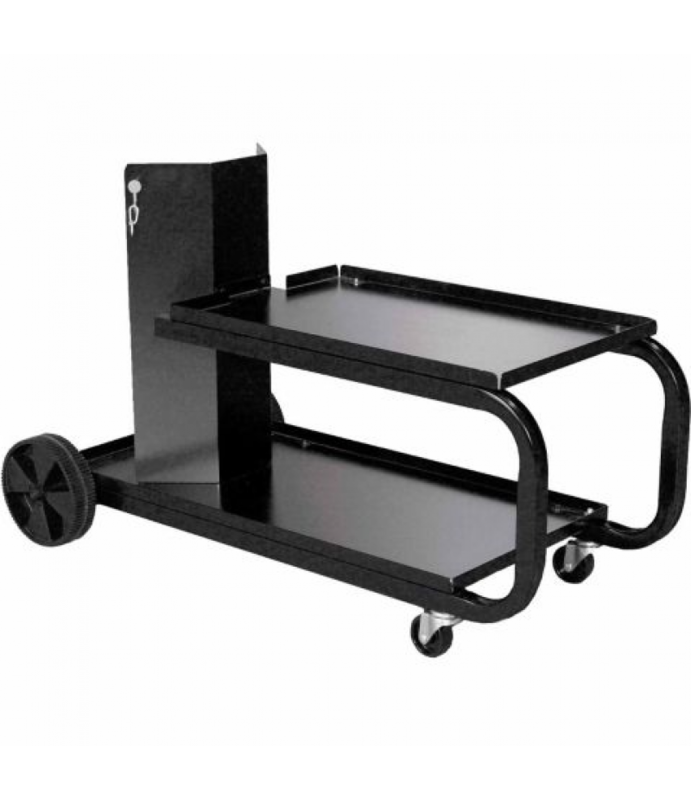 The small black Hobart Arc Welding Cart is designed to hold most portable welders.Accepts gas bottles up to 7 inches in diameter, maximum 75 lb.Assembled dimensions: 18 in. H x 30 in. L x 12.5 in. WWelder shelf dimensions: 12.5 in.. 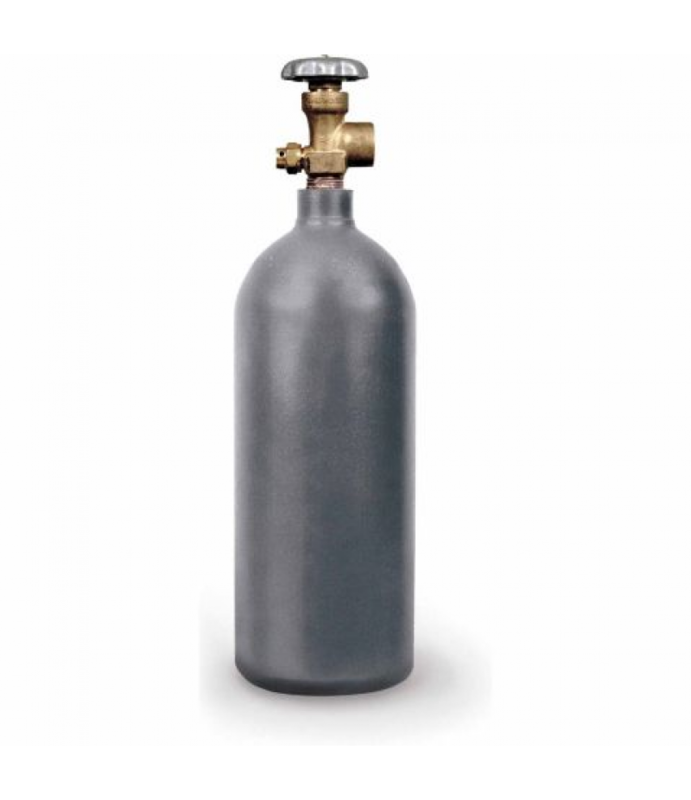 The Hobart Argon/CO2 Shielding Gas Cylinder is refillable.20 cu. ft.Industrial-grade cylinder and valve with CGA 580 fittingC-25 (75% Argon, 25% CO2) is a preferred gas for MIG weldingExcellent performance on thin materialsClean w.. 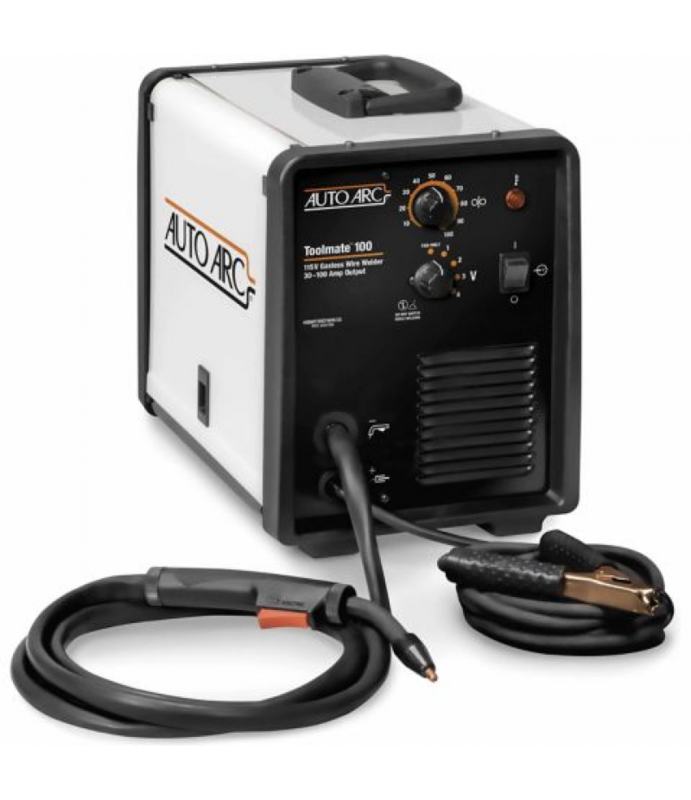 The Hobart Auto Arc Toolmate 100 operates off 115V household current. With the addition of a roll of .030 in. to .035 in. (0.8 in. to 0.9 mm) flux-cored welding wire, this welder is ready to weld, without shielding gas. 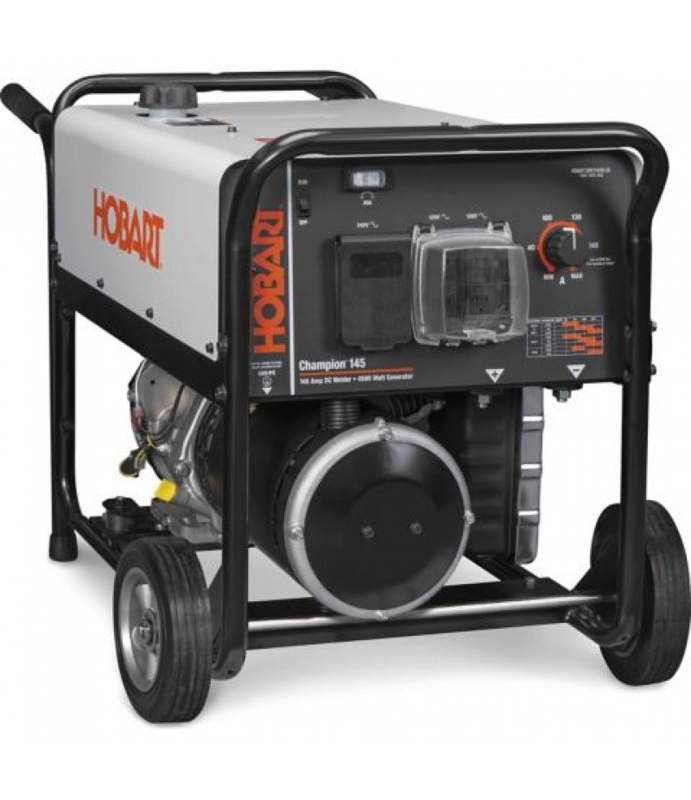 It can wel..
Portable and compact, the Hobart Champion 145 Welder/Generator provides up to 4500 surge watts of AC power, wherever and whenever you need it. 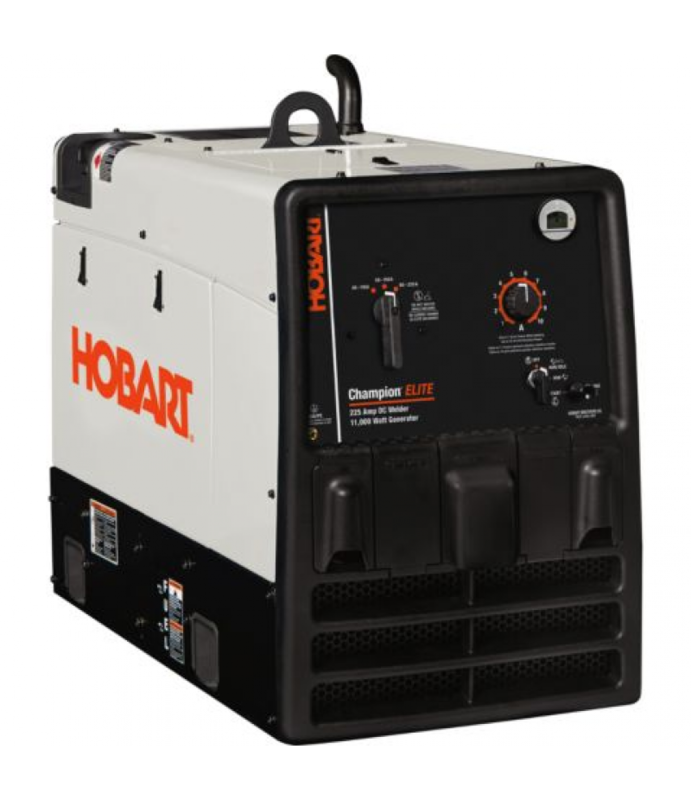 The unit provides up to 145 Amps of DC welding power, making it an ideal choice for mai..
Hobart Champion Elite DC Welder Generator provides auxiliary power while welding that gives you the capability to run other equipment (lights, grinder) at the same time you are welding. 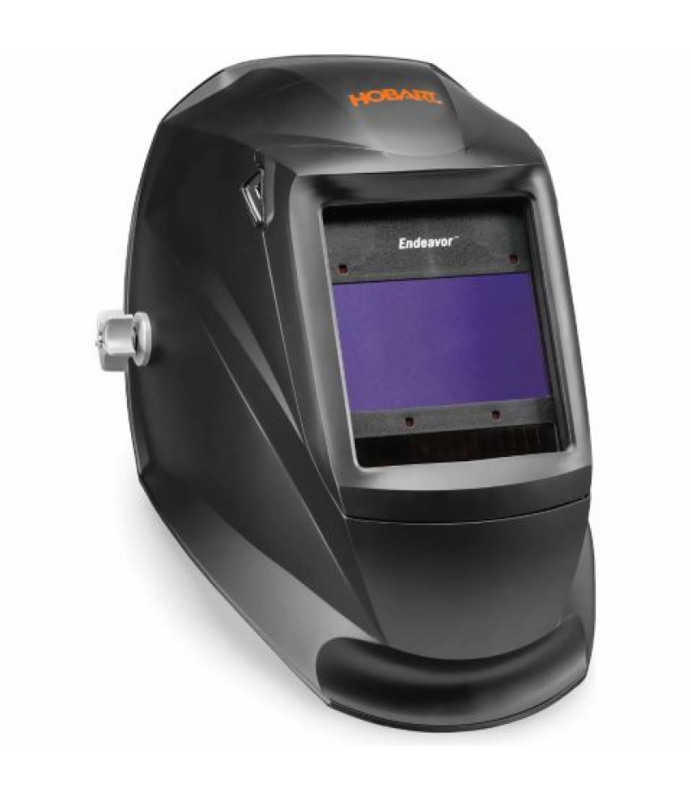 Heavy-duty construction with 100% duty cycle..
Stay comfortable and protected with the Hobart Endeavor Series Auto-Darkening Welding Helmet.BlackReaction time of 1/15,000 second4 independent Arc SensorsMulti-adjustable ratcheting headgearLarge viewing area (9.02 sq. in.)Grind/.. Hobart ER 70S-6 Carbon Steel Solid Welding Wire produces high quality welds.Great for construction work, farm implement fabrication, tanks, truck bodies and general shop applications.024 in. x 10 lb. 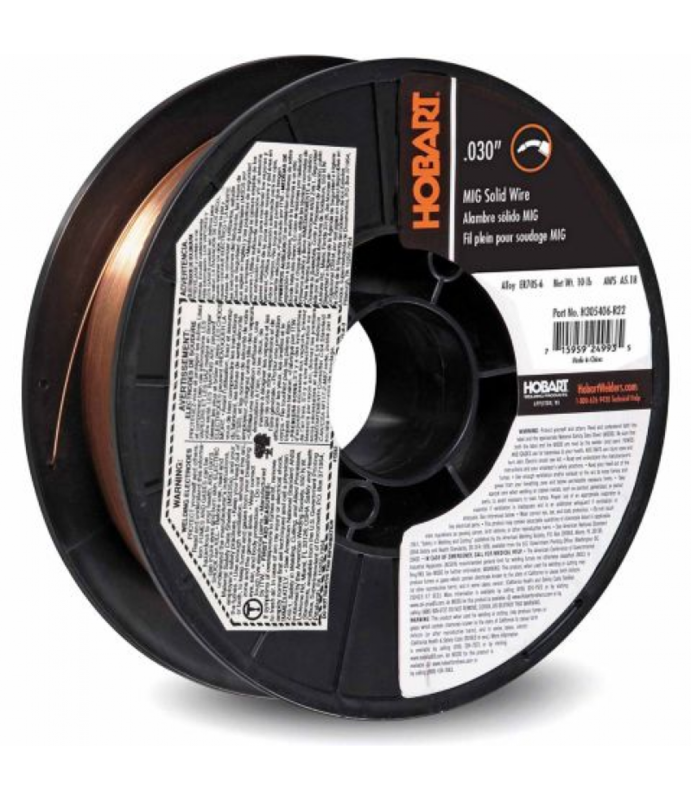 SpoolSpecificationDescriptionB..
Hobart ER 70S-6 Carbon Steel Solid Welding Wire produces high quality welds.Great for construction work, farm implement fabrication, tanks, truck bodies and general shop applications.030 in. x 10 lb. SpoolSpecificationDescriptionB..
Hobart ER 70S-6 Carbon Steel Solid Welding Wire produces high quality welds.Great for construction work, farm implement fabrication, tanks, truck bodies and general shop applications.035 in. x 10 lb. SpoolSpecificationDescriptionB.. 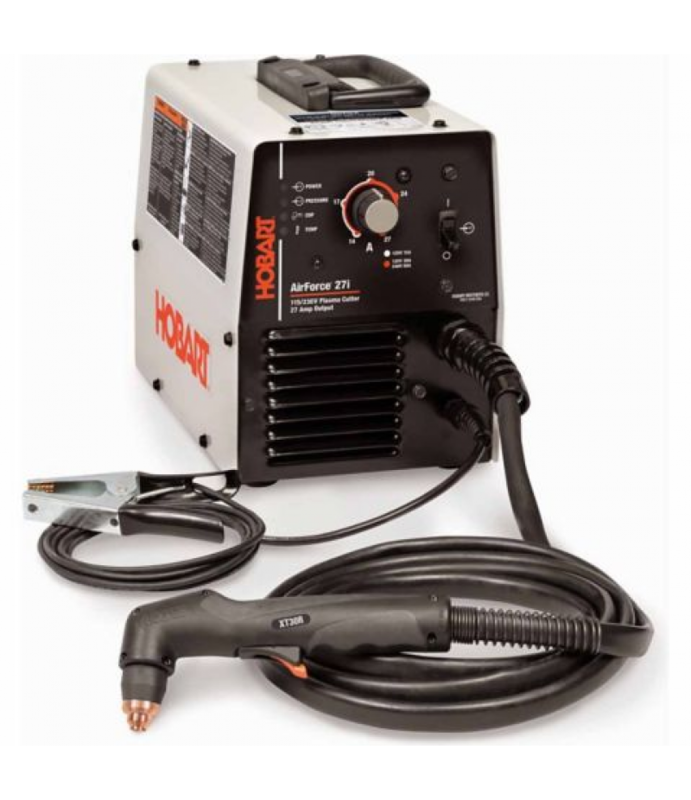 The Hobart EZ-TIG 165i Welder is a complete 230V AC/DC welding package that offers a unique single-knob control making it the quickest and easiest AC/DC TIG welder to set up and use. Just plug it in, connect the gas, select the ma..